We buy jet skis for one reason and one reason only: to have a ton of fun. After a long work week, going to the beach or the lake can be a key ingredient to our happiness and to satisfy our need for speed. Why else would we drop a few grand on an awesome new toy? When our water sports are put on hold due to battery issues, it can become frustrating as it prevents us from doing what we love. We take for granted that our jet skis will work as we don’t use them on a daily basis. 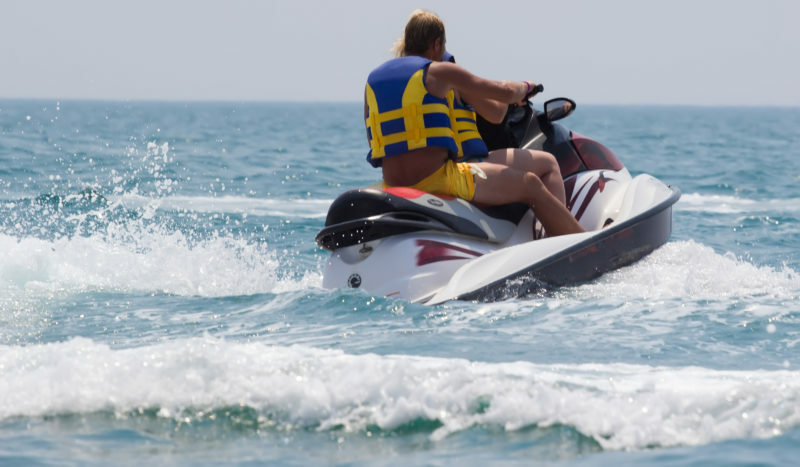 However, unlike traditional car batteries that go through general wear and tear over time, there are other, perhaps surprising reasons why jet ski batteries die on us. Here are the top five reasons why your jet ski battery is dying. The reason why car batteries last longer than jet ski batteries is the simple fact that most of us use our car daily, where as a jet ski may sit in the garage or storage for months at a time. When this happens, sulfation or a built up of a salt of sulphuric acid can occur on the battery. Similar reactions happen on a car battery as well if it hasn’t been driven in a long time, but it has been shown to occur quicker with jet ski batteries due to the size differences. This may sound counterintuitive but if you overcharge your battery, you may be draining it. Interestingly, when overcharging a battery, you’ll start to notice that it can’t fully charge after a while. There are worse outcomes too–some have even reported minor explosions due to overcharging. Even though jet ski batteries are relatively small, it can take hours to charge a battery. Many different kinds of chargers flood the market, but most experts recommend using a “smart charger”. Smart chargers, once finished charging the battery, will automatically turn off. This will save you the time of monitoring your battery for hours on end. Even winters in Southern California can get a little chilly. Even if we want to, we can’t ride our jet ski every weekend. Most owners store their jet skis for the winter, but what about the battery? The best way to ensure longevity out of your battery is taking out the battery all together and storing it in an area that is not exposed to cold. Once out of the jet ski, it’s best to hook it up to a trickle charger or a solar paneled charger to make sure your charger doesn’t run out of juice before your next getaway in a few months when it warms up again. Not all batteries are built the same. If your battery has been giving you trouble since the beginning, it’s possible that you may just have a dud. Doing research on the best batteries is important before you purchase, but once in a while you may just get a lemon. There are several tests you or a mechanic can perform, including checking the voltage to make sure it’s able to reach the normal amount. There may be a leak, or a tester may be reading data incorrectly. Luckily, unlike car batteries, jet ski batteries are significantly less expensive, depending on the variety of brands you decide to choose from. Though the culprit may seem to be a dying battery, it may not be after all. There are many parts to consider: Loose electrical connections, whether you accidentally left the key on while not in use (it happens often), broken gauge, the wrong size of battery for your vehicle, or even a faulty charger. Doing a diagnosis of everything connected to the battery along with the battery itself will let you figure out what the actual problem is, and not have you purchasing new batteries only to encounter the same problems.